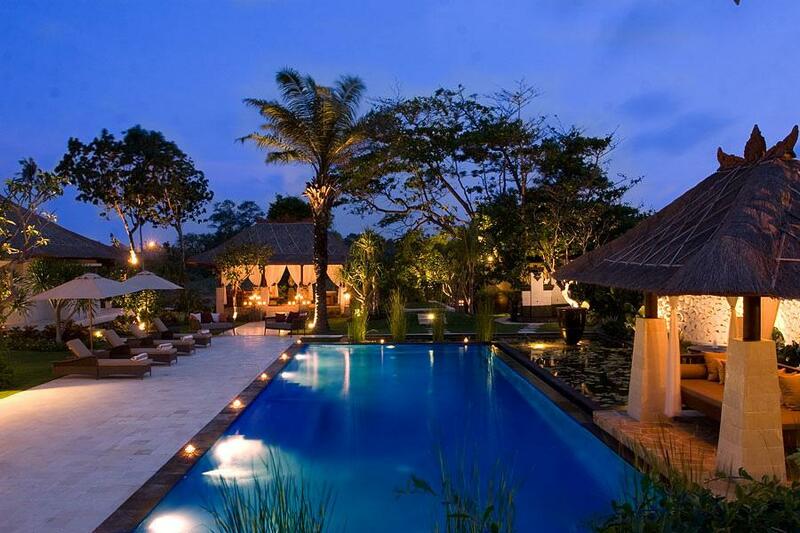 Villa Kedidi is the perfect holiday choice for anybody wishing to experience a taste of luxury at an affordable price. 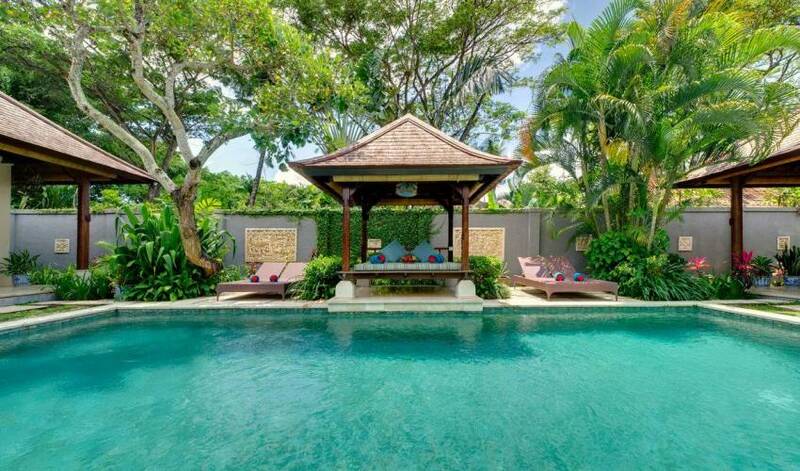 Just a short stroll from the popular nightlife and glistening black shores of Canggu Beach on Bali’s south-west coast, this delightful three-bedroom villa with 10-metre swimming pool is cute and compact, oozing character and charm. 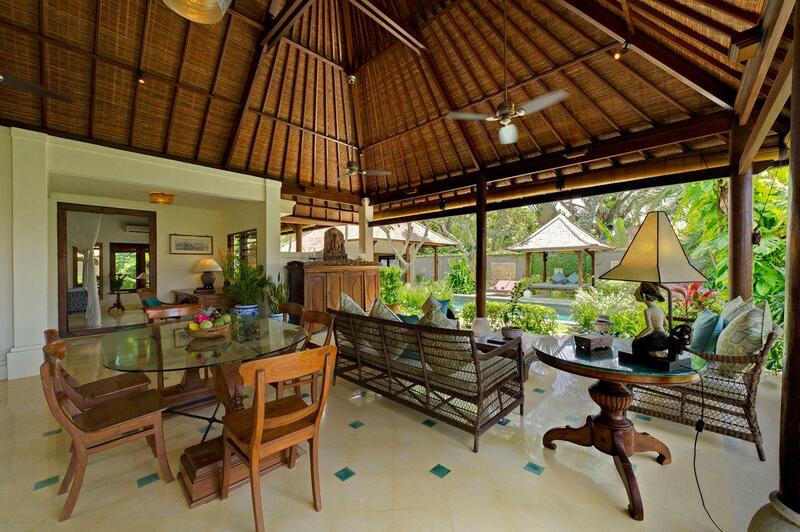 Larger groups can book the villa together with neighbouring four-bedroom Villa Kakatua for a seven-bedroom option. 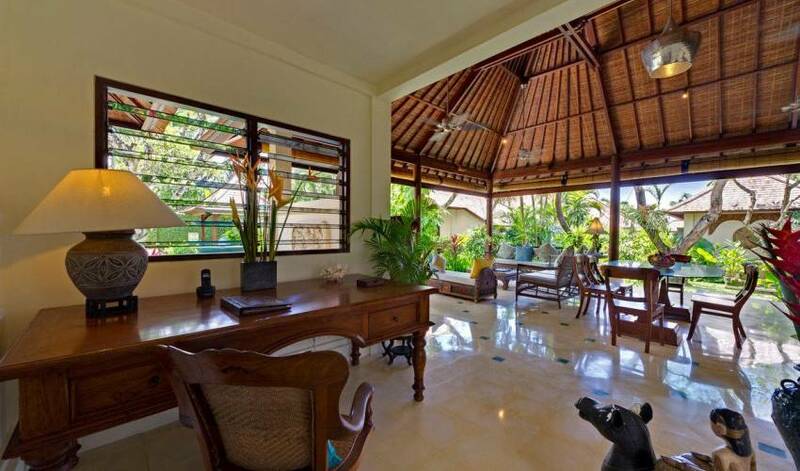 Fully equipped with children’s facilities, serviced by warm and attentive staff and designed with relaxation and comfort in mind, guests will instantly fall in love with this traditional Balinese home. 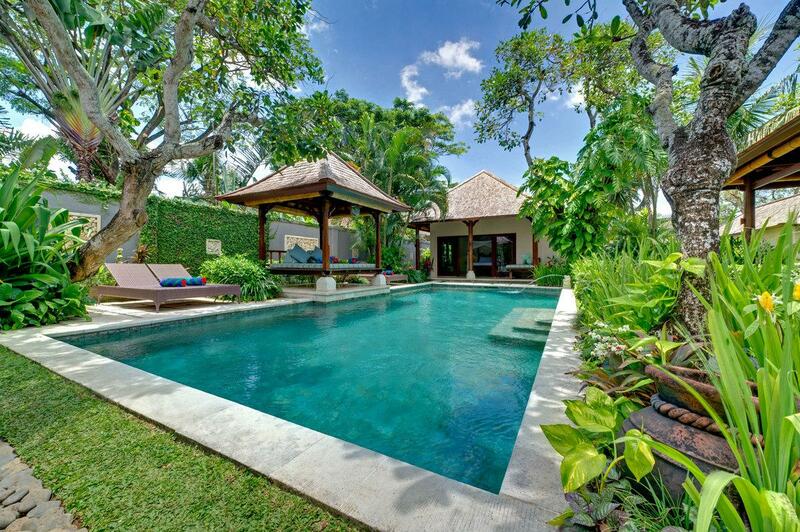 A slice of island paradise, the villa and its magical surroundings offer special insight into this calm and uncomplicated way of life, while sitting central to everything Canggu has to offer. 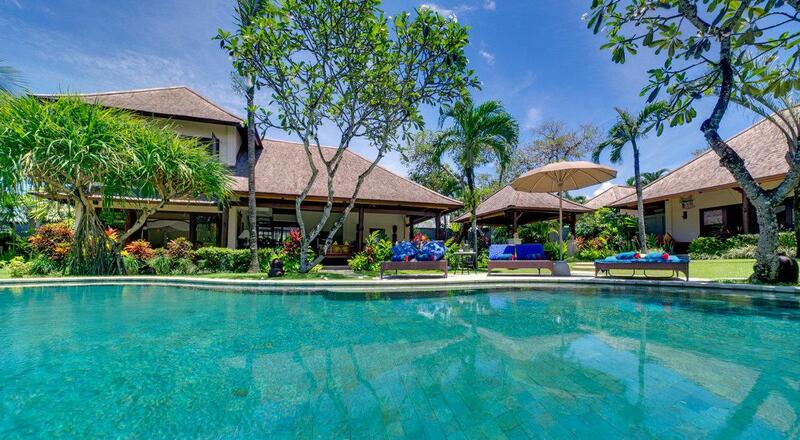 Named after the sand piper that frequents the nearby shores, the villa is only 100 metres from Canggu Beach on Bali’s south-west coast. 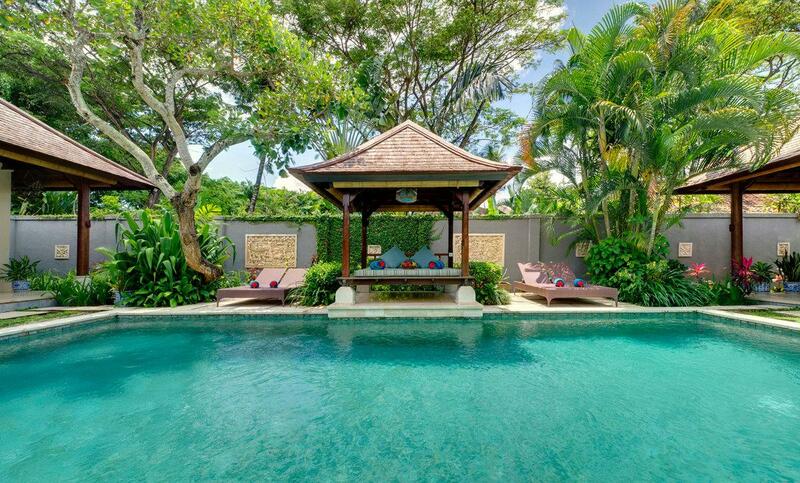 Resting quietly in a private walled garden next to four-bedroom Villa Kakatua, this three-bedroom haven is the quintessential Balinese home. 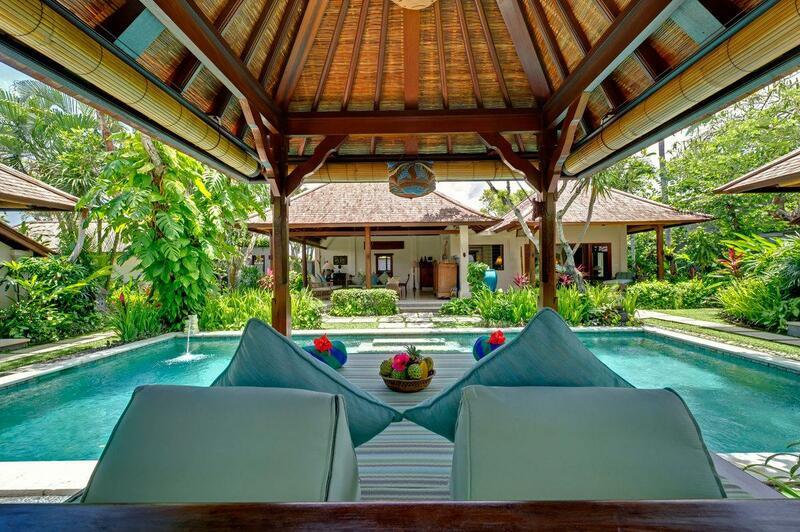 The villa is designed in traditional Bali style, with solid coconut beams supporting high serapwood ceilings that capture the tropical breeze and cool the open-sided living spaces. 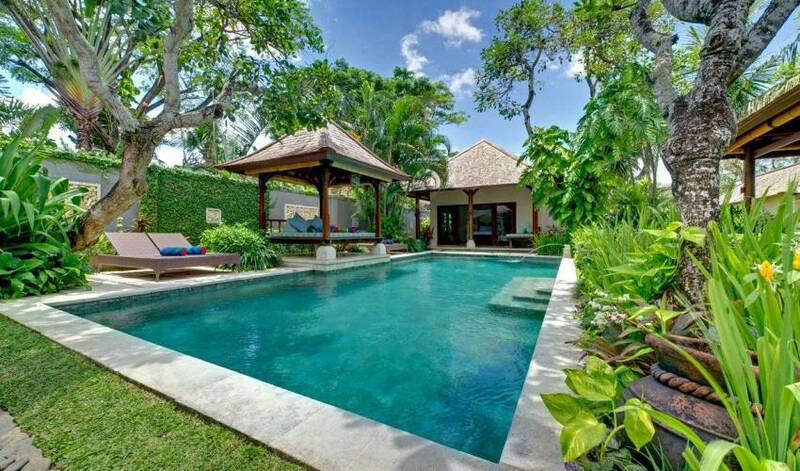 An enticing natural green-stone swimming pool sits strategically in the middle of the compound, promoting easy access from the surrounding bedrooms that feature beautifully carved wooden beds and semi-open garden bathrooms. 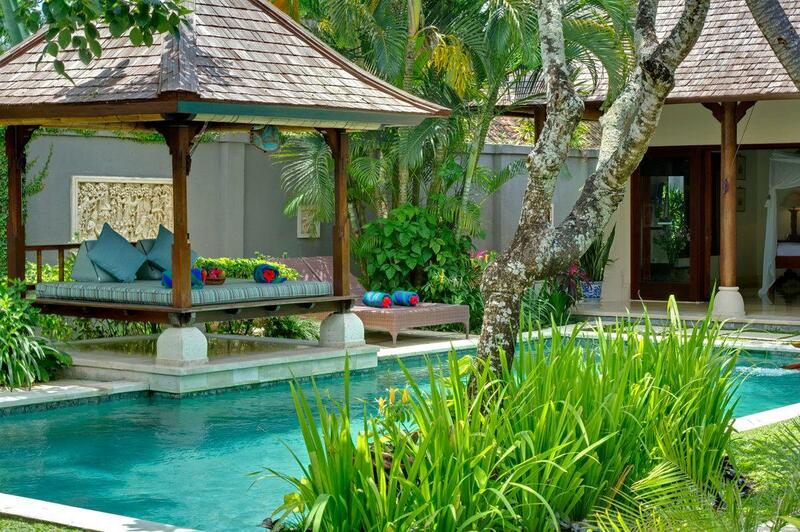 The special Balinese ambiance is further enhanced by exquisite artefacts and antiquities that are found throughout the home and in the lush tropical gardens. Intricate carved limestone murals depict stories of times gone by, giving insights into the island’s diverse and fascinating culture. Perfect for families, the villa is equipped with everything from high chairs and baby cots to pool toys and baby monitors, and there’s plenty of space in the gardens for the kids to play. The warm and friendly staff are excellent with children allowing parents to relax and unwind knowing the kids are in a safe and secure environment. 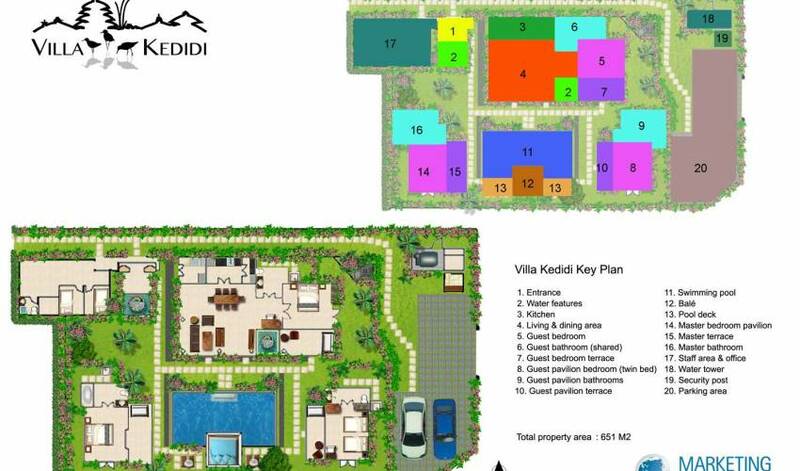 Villa Kedidi is the ideal choice for those wanting to experience a taste of luxury at an affordable price. Perfect for those wishing to explore Canggu’s cool cafés, innovative restaurants and chic boutiques, yet retire to their own quiet little slice of paradise at the end of each day. 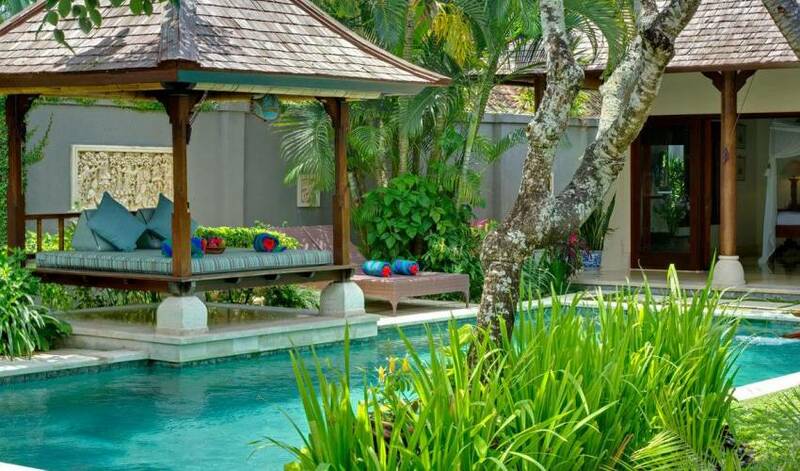 The villa is accessed by a private path bordered by plants and limestone carvings that leads to its traditional Balinese doors. Behind these doors guests are greeted by an aling-aling wall (a short partition wall which, according to traditional belief, protects the villa from bad spirits). 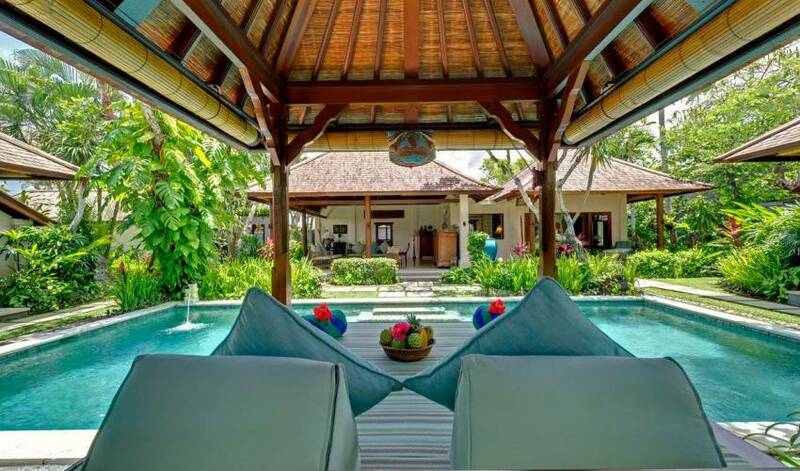 With the bedrooms and living spaces built around the swimming pool, the villa is neat and compact; similar in composition to the traditional ‘compound’ design of most Balinese homes. The open-sided living and dining area, with gorgeous views out to the pool and garden, is the communal hub of the villa. 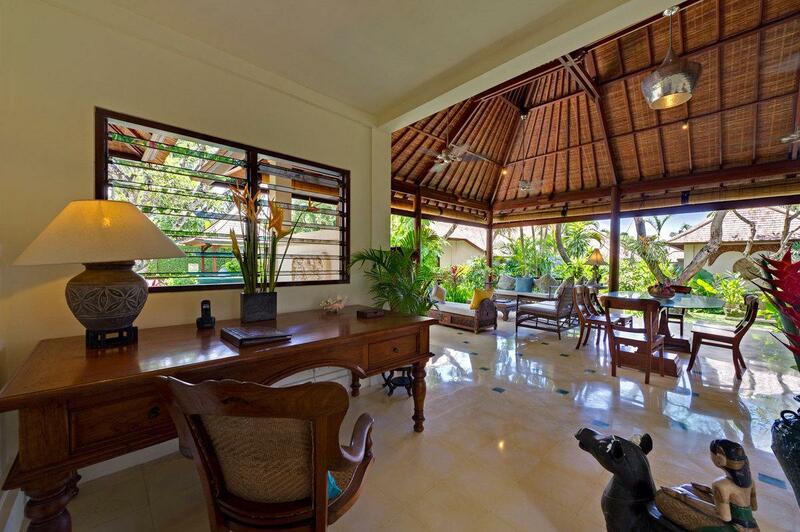 Scattered with artefacts and paintings under traditional high ceilings this room evokes an authentic Balinese ambiance. Blue and white Chinese ceramic pots add a splash of colour along with a green marble side table. Two wicker sofas with soft batik cushions provide the ideal spot to put your feet up and enjoy a movie under the watchful eye of a carved Buddha and the glass-topped dining table (seats six) is great for group meals. The modern kitchen comes with all the necessary stainless steel appliances and essential children’s equipment (high chairs, cutlery, etc.). The focal point of the villa is the 10-metre green-stone, salt-water swimming pool with its poolside balé and sun loungers. Take a nap, read a book or indulge in a massage – relaxation is the key. 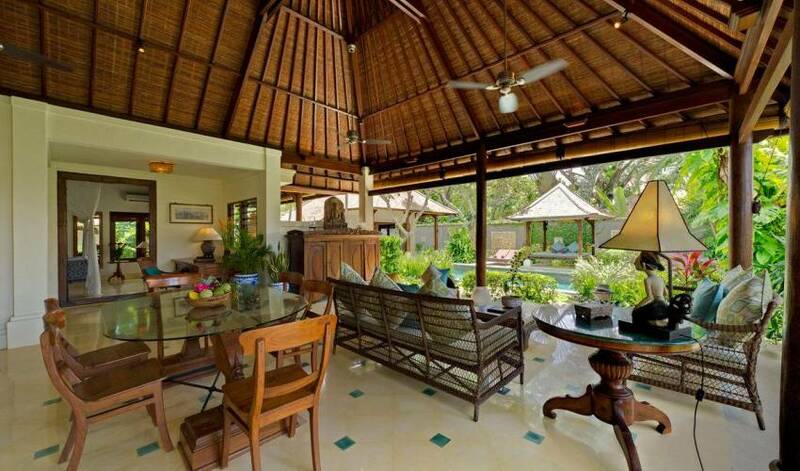 The lush green foliage and exotic plants create a cool tropical vibe and private oasis within the villa’s compact walls. All three air-conditioned bedrooms here are similar in design, with polished cream terrazzo floors, ceiling fans, beautifully carved wooden beds draped with mosquito nets and antique batik throws. Tastefully decorated with Javanese antiques and traditional paintings and portraits, the rooms are very homely and comfortable. iPod docks add a modern touch while the lovely garden bathrooms, dotted with bluestone pebbles and with open-air showers, inject tropical style. The third bedroom is accessed via large wooden fortress doors from the living area or from glass sliding doors that open onto a patio with a beautiful blue urn water feature. This room’s bathroom is not ensuite but lies just beyond the bedroom doors, off the living area. 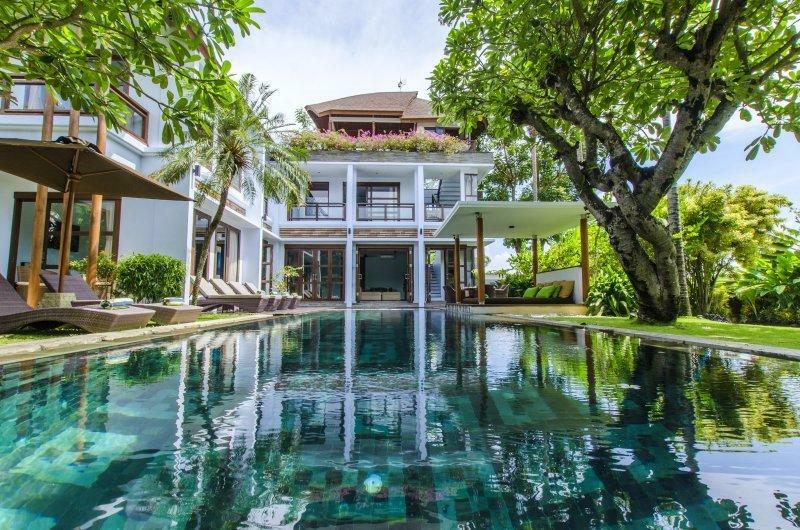 Villa Kedidi lies at the beach end of Canggu’s thriving Jalan Pantai Batu Bolong, a country lane that has experienced an amazing transformation over the last few years and is now home to some of Bali’s hippest haunts. You’ll find a number of excellent cafés, bars and restaurants within a few minutes’ walk of Villa Kakatua. Among them are the chill-out beach bars, Old Mans and The Lawn, popular vegetarian venues Betelnut Café, Milk & Madu and Crate, and the ever-elegant Hotel Tugu. Batu Bolong Beach, just 100 metres from the villa, is renowned for its world-class surf breaks and rugged beauty; it’s the ideal location to catch a wave, take a stroll along the sands to nearby Echo Beach or capture the sun setting over an ornately carved sea temple.